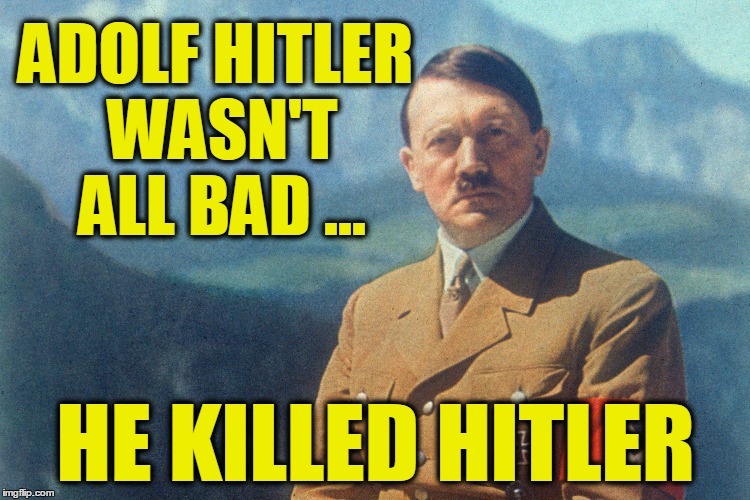 If you want to be remembered as not all bad yourself, you ought to follow Hitler's example. I hope Trump takes his lead. Oh Come on now, don't play stupid with me , You are smarter and quicker then that . It's not I didn't get what you meant, I just chose to respond to what you SAID. Now did I Nazi that in the first place, My Bad!